She is the best! Bar none. My Mother is a friend and my Mom. along with cooking, crochet work and sewing. You name it and she can do it. clothes and they were made with her loving hands. 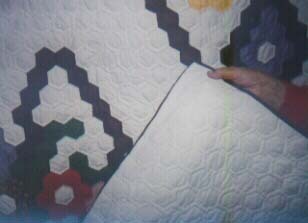 to do hand quilting for others. I am very proud of her. the glue that held our family together. family and friends to California. under very hard times, I'm sure. the case for so many who went west at that time. of my early years living there. was beautiful and at that time not overly crowded. and to this day are my favorite. climbing as far as we could in those huge trees. Ahh, the joy of innocent youth! 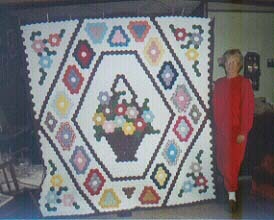 many quilts that she made. 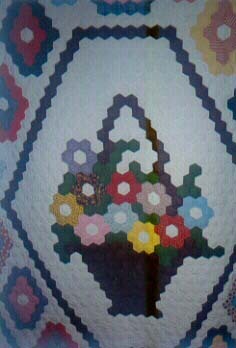 and it was a tiny picture. She counted the pieces and this was the final result. as a half dollar coin. 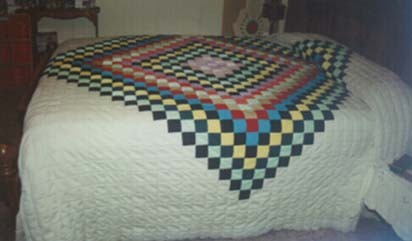 and quality of her quilting. 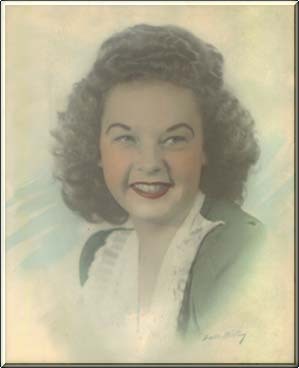 A personal note to my Mother..
how much I truly admire and love you. and the guiding light of my life. my Mother taught me to make. mine is done on a machine.